Mykon B-Clear ‘The Series’ polycarbonate honeycomb composite panels can provide a unique solution for your architectural needs. Using the same unique bonding process of B-Clear, the Mykon development team created B-Clear ‘The Series’; an array of handcrafted panels, available in a vast selection of colour finishes, cut to customer-specified shapes. These panels are manufactured by applying glass or polycarbonate outer skins to coloured acrylic or coloured honeycomb centres, creating the ‘‘fish-eye’’ effect, synonymous with our standard B-Clear range. B-Clear ‘The Series’ offers a more translucent effect than that of our standard B-Clear and Crystal Glaze ranges. Light is absorbed and diffused through our panels, projecting onto the opposite wall, ceiling or floor, creating an environment not dissimilar to that of a stained-glass window. 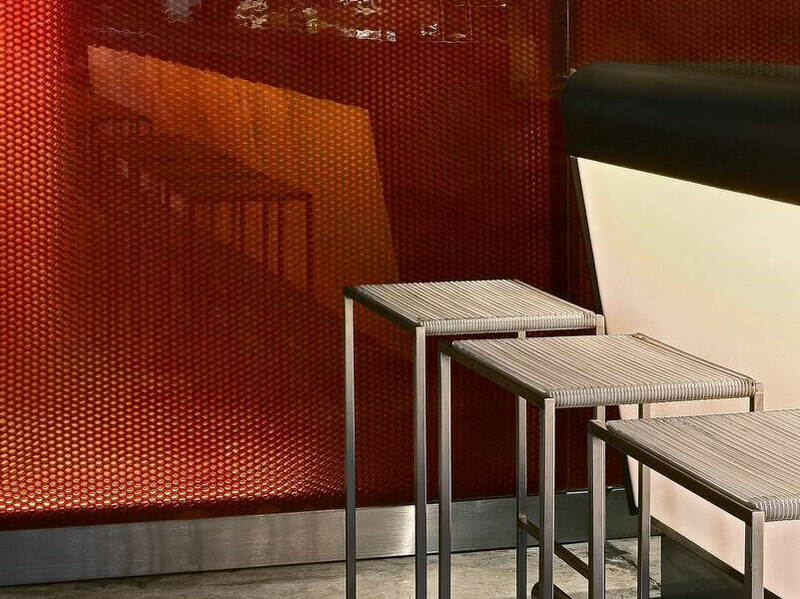 Ideal for both structural and non-structural applications, our B-Clear ‘The Series’ panels introduce colour and light to any project. The product shares the same traits as our standard B-Clear range; these panels are not only lightweight and beautiful but also incredibly strong. Our coloured skin panels are available in sizes up to a maximum of 2500mm x 1250mm with standard thicknesses of 19mm and 27mm or 40mm overall with 6mm glass (complete with structural & fire test certificates) for structural applications. Occasionally production will recommend 50mm overall with 8mm glass for floors without certification. We use 3mm acrylic skins, available in an array of traditional colours to more bespoke finishes including frosted, opaque and pearlescent effects. 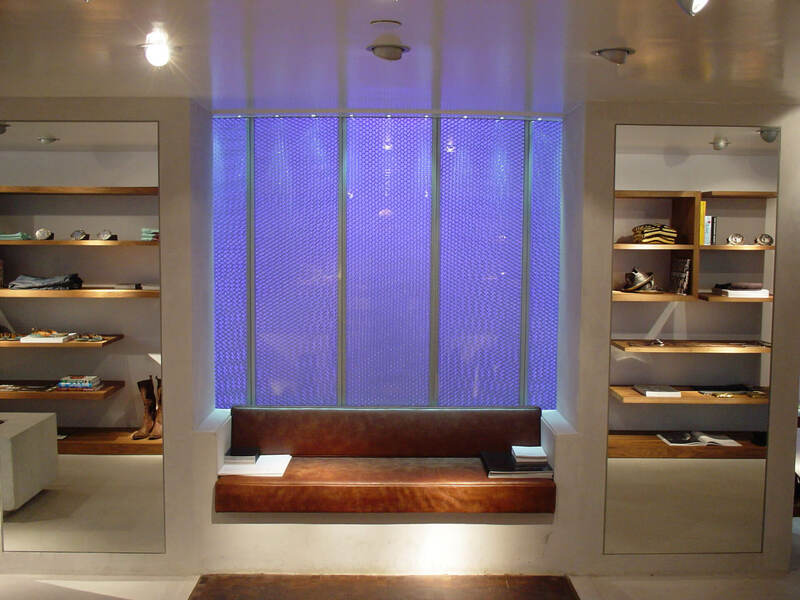 These panels are also available with integrated LEDs. Coloured core within B-Clear ‘The Series’ is achieved by painting the honeycomb core found between either a frosted acrylic or polycarbonate skin. We offer a comprehensive colour range, which can be selected from the RAL colour chart or similar. Exposed panel edges can be finished with a selection of standard edging material if required. 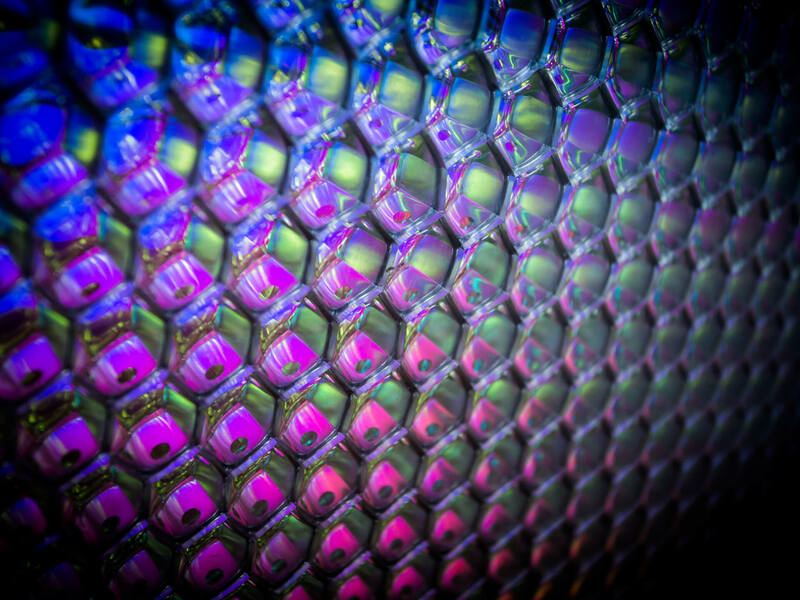 The B-Clear Iris panel comprises of a 3mm polycarbonate sheet and a sheet of iridescent 3mm acrylic. The iridescent acrylic material shines a myriad of colours depending on the viewing angle and uses ambient light to create its own lighting effects with mirror-like reflections. This makes it particularly suited to restaurant, nightclub and bar applications when backlit.